Eyes are the window to the soul — and they also show signs of aging. 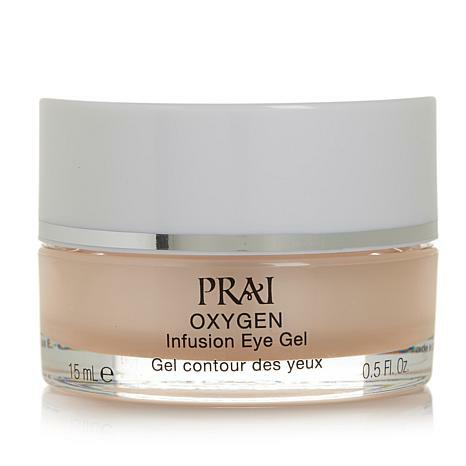 Discover a more youthful appearance with this eye gel that moisturizes and provides age-defying beauty benefits to the under-eye area. Next time someone gazes into your eyes, make sure it's your real beauty they see, not your age. Ingredients: Propylene Glycol, Aqua/Water/Eau, Cyclopentasiloxane, Glycerin, Dimethicne, Methyl Methyacrylate Crosspolymer, PEG/PPG-18/18 Dimethicone, Phenoxyethanol, Zingiber Cassumunar Root Oil, Sodium Hyaluronate, Perfluorohexane, Saccharomyces/Xylinum/Black Tea Ferment, Hydrolyzed Soy Protein, Palmitoyl Tripeptide-1, Tetrahexyldecyl Ascorbate, Perfluoroperhydrophenanthrene, Glyceryl Polymethacrylate, Perfluorodeclin, Ethylbisiminomethyhlguaiacol Manganese Chloride, Perfluorodimethylcyclohexane, Hydroxycellulose, Dimethiconol, Butylene Glycol, Sodium Chloride, Yellow 5 (CI 19140), Red 40 (CI 16035). I've used this every night and the crows feet look better, as do the "11" lines. Be careful, it is a gel. Only use tiny dots around your 11 lines, crows feet, eye circles. 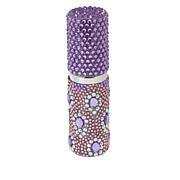 Instead of feeling like you are putting on clown makeup, the delicate drops disappear in less than 10 seconds. When you put this gel on it feelsso good. It goes on so cool and just glides on your skin. Your eyes feel so fantastic and less tired when I use this. I had used a more expensive eye cream for years until I was mailed a sample I had never heard of it but tried it and loved it. It is not only less expensive than my former cream but also more effective. I love the way it makes the area around my eyes feel silky. I expect to be ordering it from now on. Everything She says and More! This product is really a wonderful product. I really believe it is reducing the wrinkles at the corner of my eyes, etc. Tired-looking eyes? Don't just slather on the concealer — reach for this product that actually helps improve the look of dark circles, puffiness and skin tone in that troublesome under eye area. Formulated with three powerful complexes, it will help you awaken your whole look. What You Get .